The Trocadero Aquarium says that at least 50 goldfish - previously pets kept in fishbowls in houses - have been brought to its four-million-litre tanks every month for the past two years. Keeping a goldfish in a traditional spherical water bowl or small tank amounts to “animal mistreatment”, Aquarium management said, and can cause the fish to have stunted growth and a much shorter lifespan. Re-homed goldfish can reach lengths of over 20cm and live for up to ten years, the Aquarium said, in stark contrast to the usual tiny-sized home goldfish with a lifespan of just three to four years. Alexis Powilewicz, director of the Paris Aquarium, said: “We are no longer seeing goldfish of a good size. Putting a goldfish in a bowl is not good. Like all animals that are constrained, they stop growing. 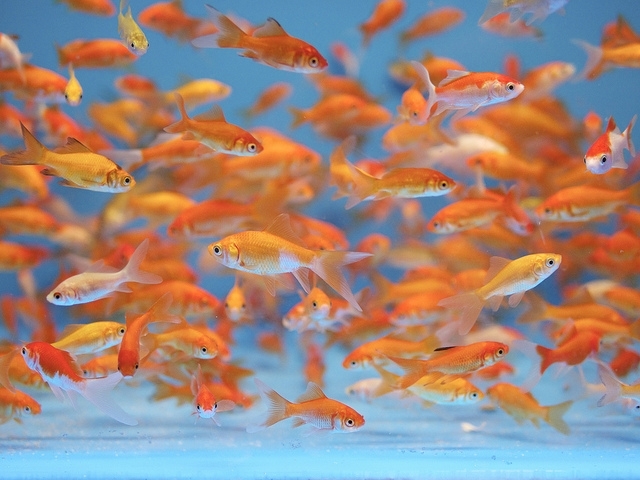 There are typically two groups who bring their goldfish to be rehomed in Paris, Mr Powilewicz said. They are either parents whose children have won a goldfish in a fairground game, or those who realise that their pet can no longer live happily at home. Visitors of the Aquarium also enjoy seeing the goldfish thrive, he said, and it is much better to bring them there than to abandon them in a fountain or a lake.